As we kick off the New Year, it’s time to think about what bathroom remodeling trends homeowners can take advantage of when planning renovations. For 2018, our home remodelers at Kastler Construction are noticing a shift toward vibrant tile designs, luxurious showers, heated floors, quartz countertops, and more. Continue reading to fall in love with bathroom ideas for your own home. To brainstorm more ideas for bathroom designs, we recommend calling a bathroom remodeling contractor near you. Nothing is more luxurious than a heated bathroom floor. Why not start your day right by installing heated floors in your bathroom? While tile can come in many different colors and styles to suit your bathroom decor, it can also be cold to the touch in the winter. Thankfully, radiant floor heating can be installed underneath tile, vinyl, wood, and other materials. If you have a busy lifestyle, you may want to consider swapping out your tub for a luxurious shower. Today’s showers come with a variety of features so you don’t have to sacrifice a spa-like aesthetic. For example, your new shower remodel may have multiple shower heads or a built-in bench. A shower renovation could be just what you need for your busy life. Like the name suggests, zero-threshold showers don’t have a threshold for you to trip over. This is why many retirees looking to age in place are choosing zero-threshold showers. Not only are these showers beautiful, but they also help prevent the possibility of a slip and fall. Zero-threshold showers can also help your bathroom seem more airy and spacious. Bathroom tiles come in a variety of colors, patterns, and textures so you can create a unique bathroom makeover. However, for 2018, homeowners are moving away from subway tiles and exploring other (more fun) options like chevron or Moroccan fish scales. Whether you want a new tile floor or are interested in creating a unique bathroom backsplash or shower wall, you can depend on the versatility of tile. Quartz countertops are not only gorgeous, but are durable enough to resist everyday wear and tear. If you have children, you’ll want bathroom countertops that will be able to withstand the morning rush. Not only is quartz highly scratch-resistant, but it’s also able to resist stains. The latest trends in bathroom design are moving away from all-white bathrooms by experimenting with different colors, patterns, and textures. Since quartz comes in a wide range of colors, more and more homeowners are choosing to install quartz countertops in their luxury bathrooms. A bathroom contractor can help you find the right materials to match your bathroom design ideas. Our Oakland County bathroom contractors at Kastler Construction work hard to make sure you are complete satisfied with your latest bathroom remodel. 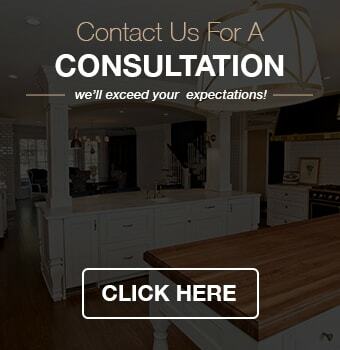 If you are interested in learning more about bathroom renovation or our other home remodeling services, give us a call at (248) 655-5580.